This is an excellent material for the end of the school year to learn about the Spanish Speaking Coutries. If you already covered the topic at the beginning or along the school year or semester, it still would work to review the material in a different way. 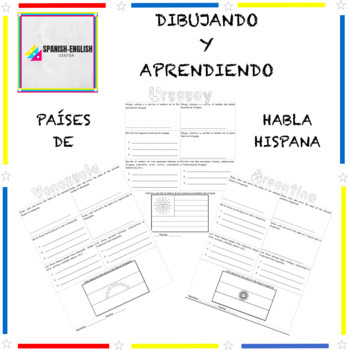 Worksheets for drawing and coloring as well as writing about important facts related to Spanish Speaking countries. There is a version in Spanish and English for each country. You can have each student complete each country and present it as a Portafalio or assign one, two or three countries to each student depending on the size of your class.